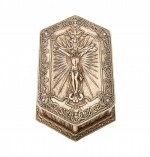 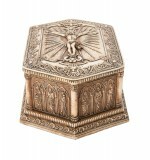 This lovely antique style Crucifixion Box is faux ivory, solid resin cast, and beautifully detailed. 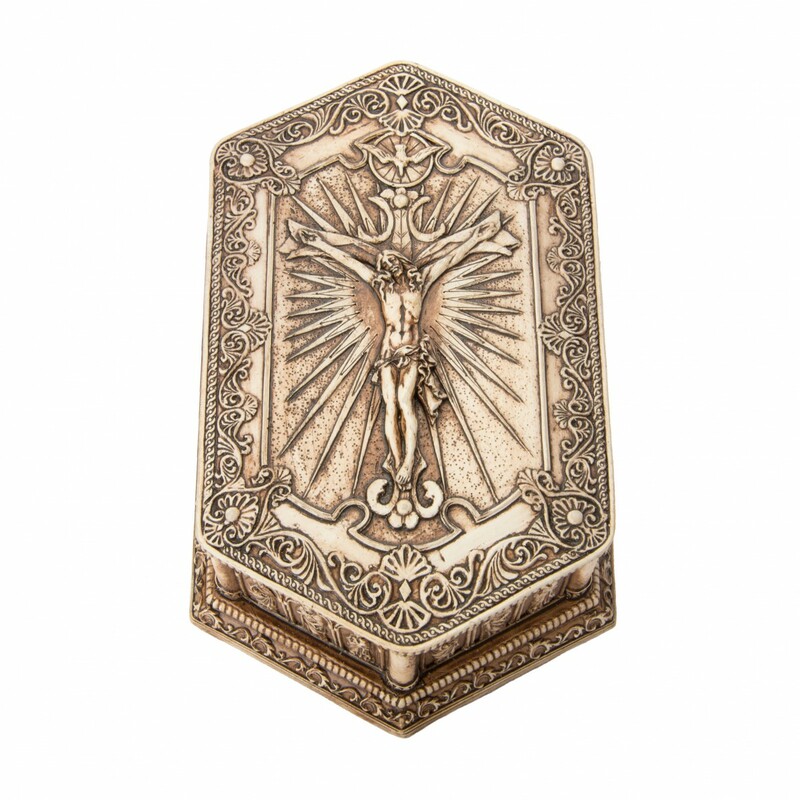 On the lid of the box the Crucifixion is displayed: the Holy Spirit descends upon the event in the form of a dove, and behind the cross a resplendent light darts out in all directions. 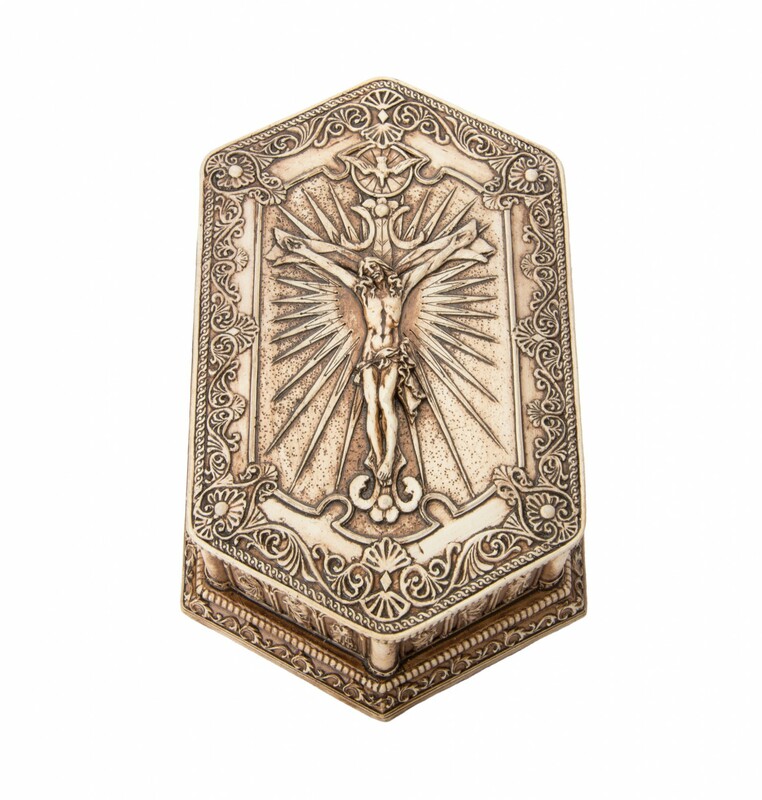 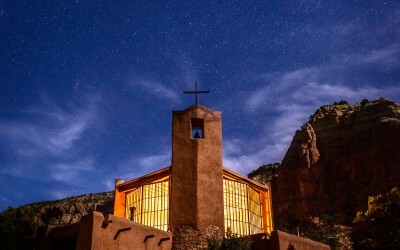 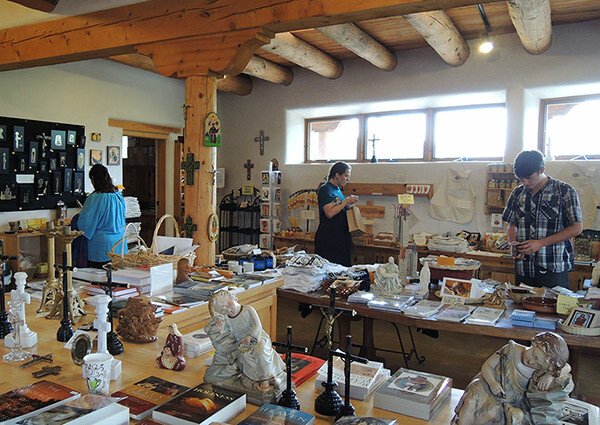 The cross is elegantly designed and the elongated body of Jesus is a gripping image. 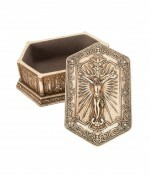 The borders of the lid are covered with intricate florid detail. 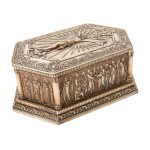 The sides of the box depict various persons in the life of Christ. 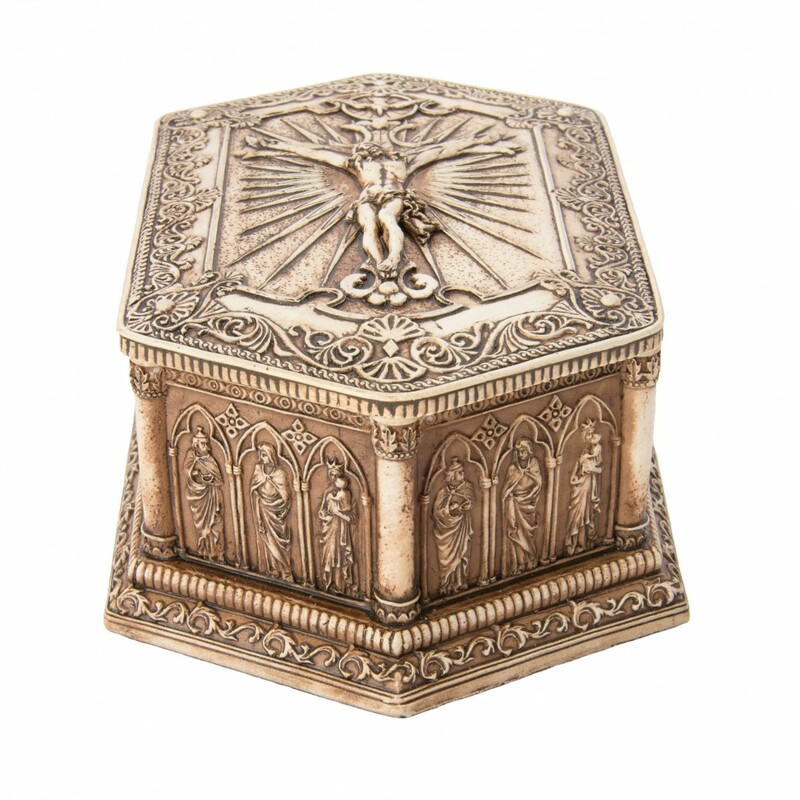 On the left and right side Mary is seen taking the Christ Child into the temple to be blessed by Simeon the Priest; angels trumpet the Presentation of the Lord while other priests within the temple deliberate about the meaning of the event. 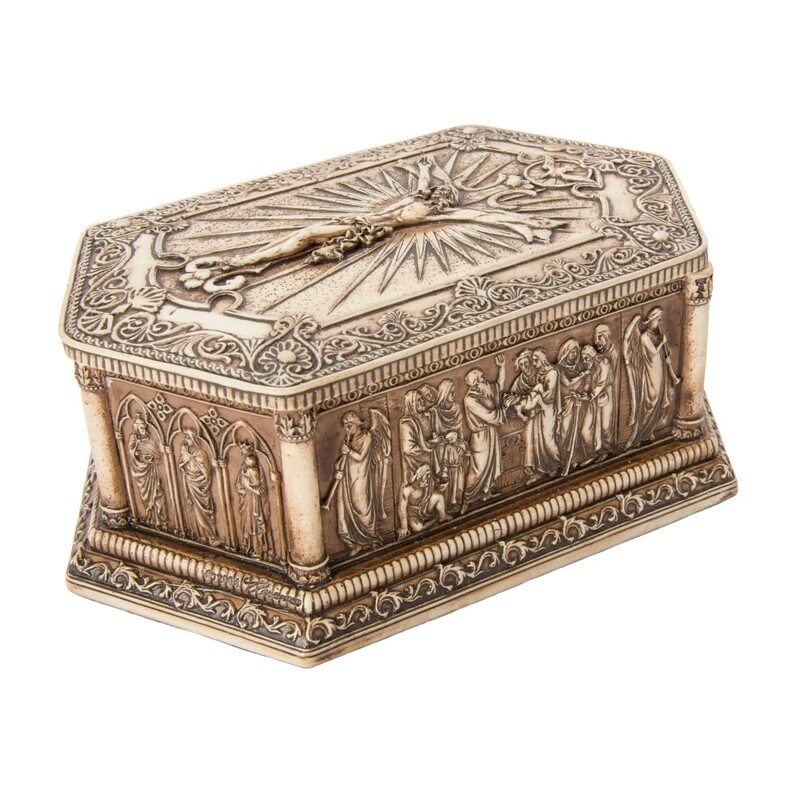 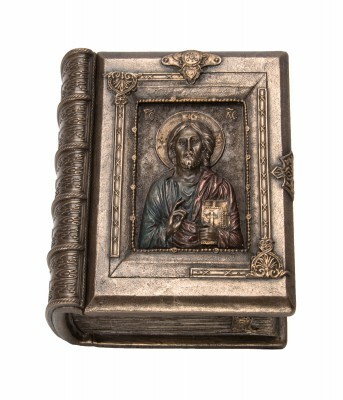 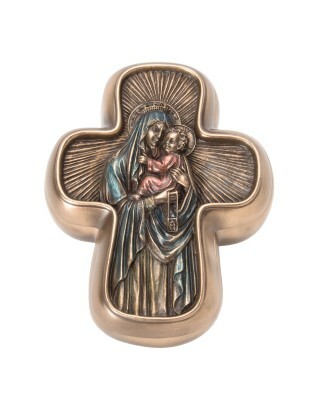 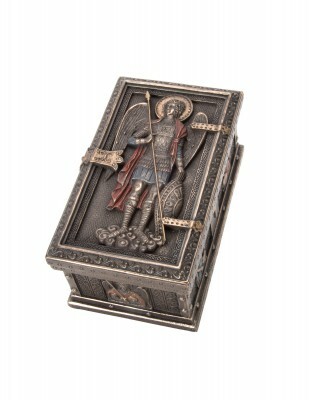 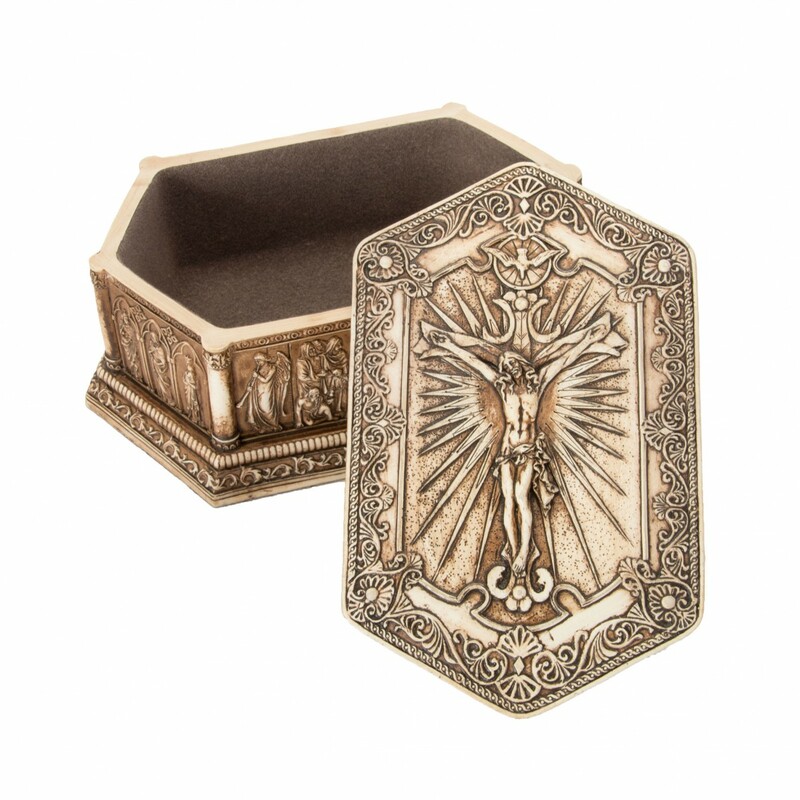 This elegant box is great for storing necklaces, rosaries, and precious items.